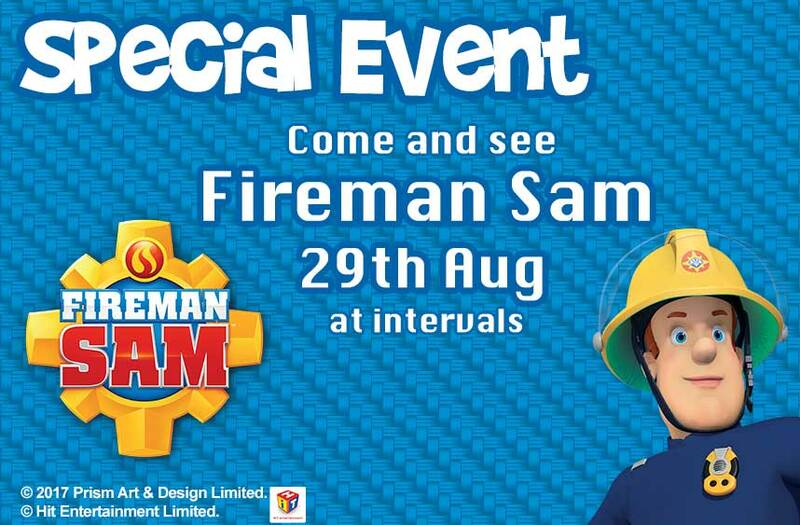 Fancy a family adventure this weekend? 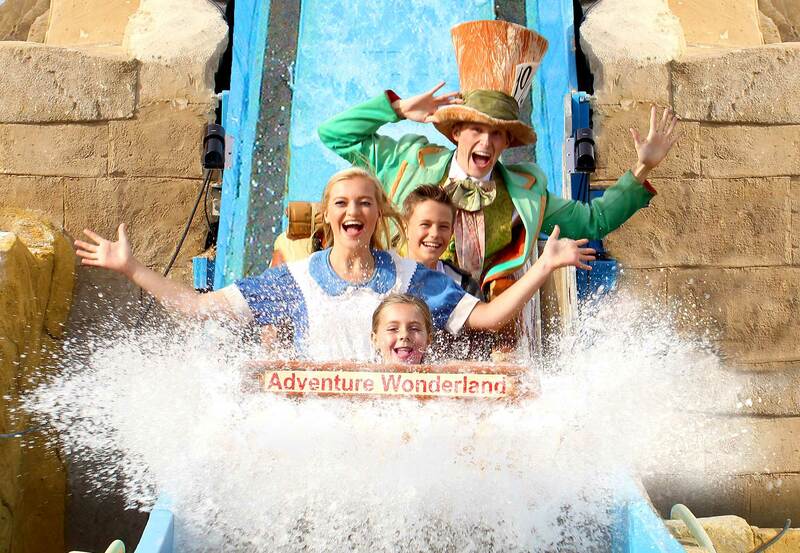 Check out Jungle Falls the new water ride at Dorset’s award-winning theme park, Adventure Wonderland. The ride, which takes its inspiration from the world-famous Angkor Wat temple in Cambodia, sends families on a log flume adventure through the jungle – en route they’ll encounter monkeys and even a scary crocodile, with a surprise. The park, opposite Bournemouth Airport, with more than 30 rides and attractions is one way to keep the family entertained during the long summer holidays. It is themed around the Lewis Carol children’s classic Alice in Wonderland and children love meeting the park’s resident characters Alice, Mad Hatter, Queen of Hearts and Mr Rabbit. Don’t miss Cuddle Corner Farm with its alpacas, sheep, ponies, goats, guinea pigs and chickens. And the south coast’s largest hedge maze, is ideal for a spot of hide and seek. Plus there’s the indoor Aztec adventure play centre, Wild Thing, with even more activities including Montyzoomer’s Ball Firing Thunderdome! So there’s plenty to keep the children entertained, whatever the weather. 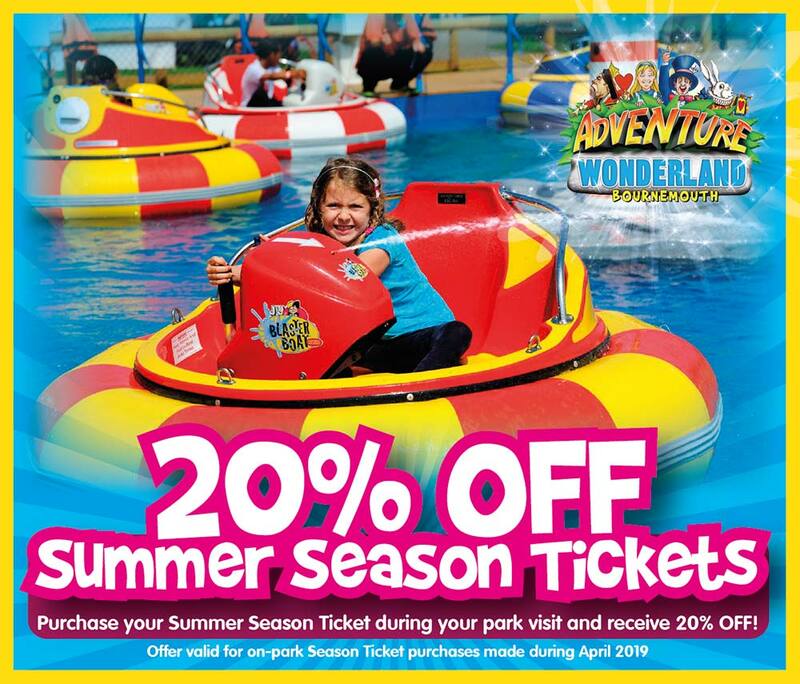 Visit adventurewonderland.co.uk or call 01202 483444 for further details, opening times and tickets. Book online for a 10% discount.